Woman Working In The Kitchen Chopping Up The Vegetables. Female.. Stock Photo, Picture And Royalty Free Image. Image 6833923. 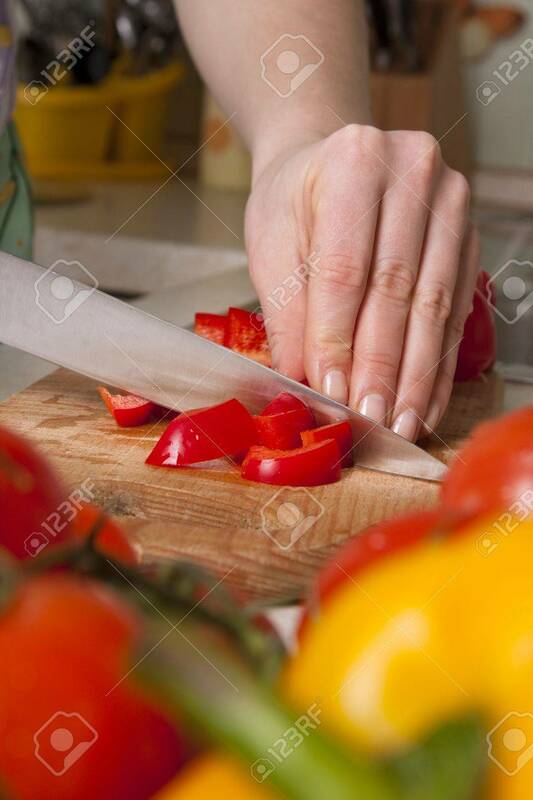 Stock Photo - Woman working in the kitchen chopping up the vegetables. Female slicing pepper for salad. Close up chef cutting vegetables. Woman working in the kitchen chopping up the vegetables. Female slicing pepper for salad. Close up chef cutting vegetables.